The Great British Care Awards are a series of regional events throughout England and are a celebration of excellence across the care sector. The purpose of the awards are to pay tribute to those individuals who have demonstrated outstanding excellence within their field of work. 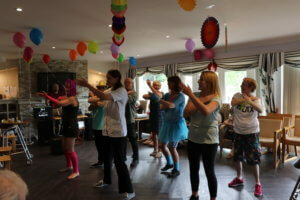 After 20 months of volunteering and visiting residents at Lavender Hills care home in Ramsbottom Nickie, Gaynor, Mia and Elsie joined Lavender Hills as a committed Activities and lifestyle team. Since joining Lavender Hills earlier this year, the atmosphere has become exciting and an increasingly fun place to be. Nickie and Gaynor have built a wide range of daily activities with their little helpers Mia & Elsie 5 and 3. Lavender Hills were featured in the press recently for an amazing Diamond wedding party with a 40’s theme held for a couple both resident at Lavender Hills. Jake Berry local MP has supported Lavender Hills care home in a number of events held, staff at Lavender Hills have been thrilled by his support. Nickie and Gaynor bring a designed tailored and person-centred schedule of activities with a holistic approach to Lavender Hills making activities meaningful, entertaining and inspiring, they have got to know each resident personally in order to ensure meeting their individual needs. Nickie and Gaynor are currently working on bridging the generation gap in the local area of Ramsbottom connecting schools and rainbows where residents and students will be coming together regularly helping each other building lasting friendships. Rainbows have been visiting Lavender Hills and call residents at the home their Grandfriends this brings smiles to many faces. 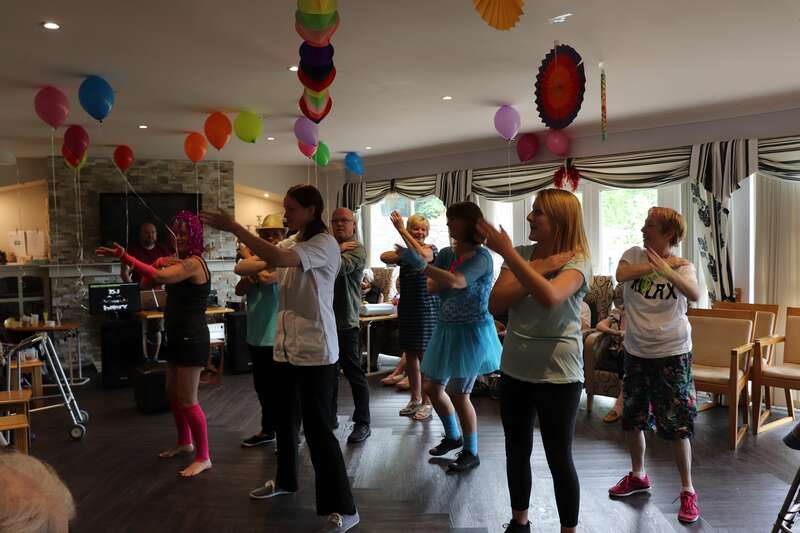 Daily activities are enjoyed by residents as well as using the beautiful grounds at Lavender Hills as a perfect setting to connect with local businesses, including Rammy Rock’s, Arm chair yoga, Rhyme time and many more. Nickie and Gaynor have plans to host many events welcoming the local community to come along and make friends with our Grandfriends. Since joining team Lavender Hills they have helped organise many birthdays in style with a recent 100th Birthday being filmed by channel 4’s extreme cake makers where Mary was presented with a beautiful cake that took her back 80 years. Nickie and Gaynor are now working on an exciting Christmas fete. Where ever possible Nickie, Gaynor Mia and Elsie will put a smile on residents faces. Birthday parties are held once a month for all residents born in that month with a theme chosen by them. The awards will be held on 24th November in Manchester city center.